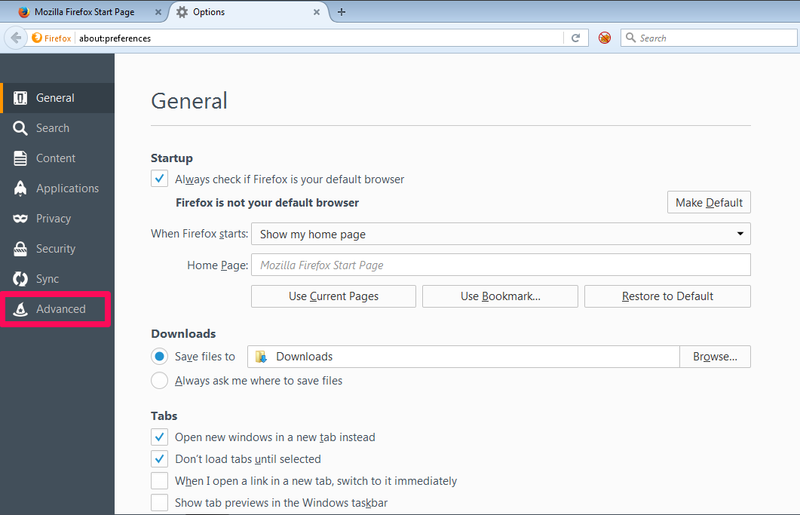 Open the Firefox Options window . Use Preferences (⌘,) if you are using Mac. Click the “Network” tab. Then click the “Settings” button. 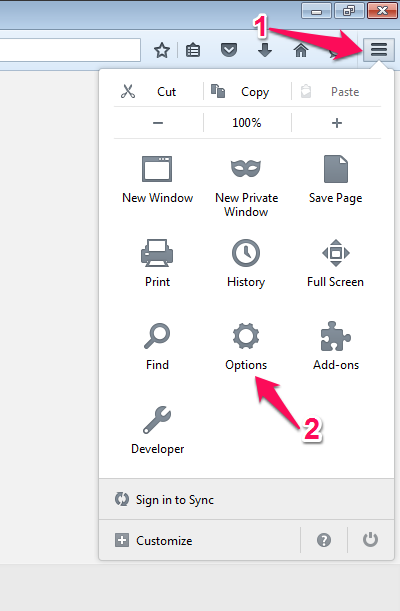 Select “Manual Configuration”. 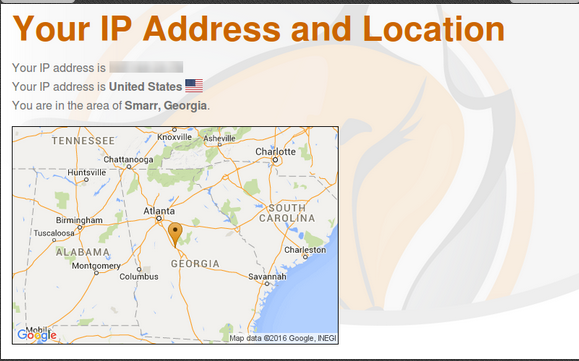 Enter the Host/IP address and Port number that was displayed at checkout and in your welcome email. That’s it! 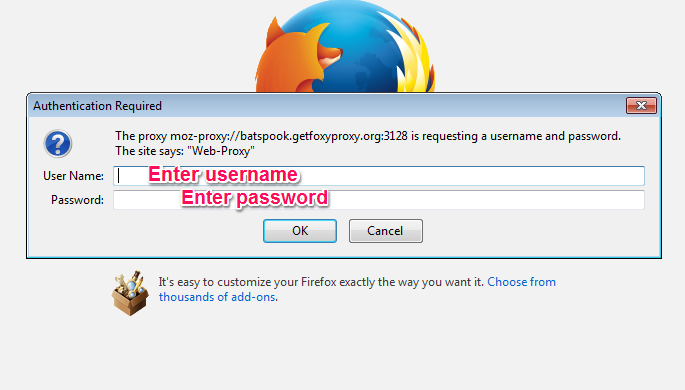 When prompted by Firefox to enter a username/password, enter the username and password provided to you at checkout and in your welcome email. 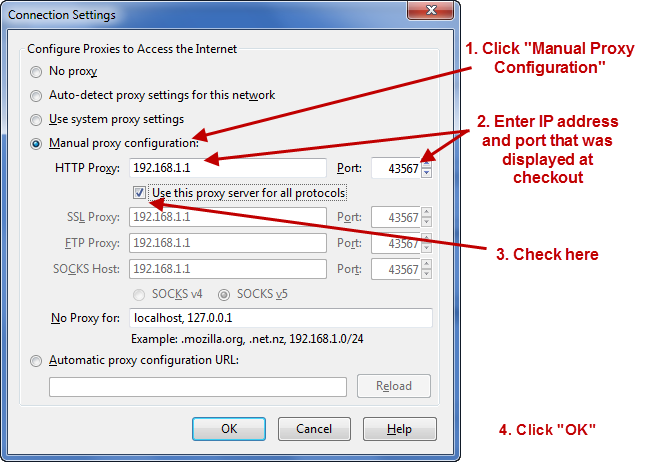 To disconnect, go through steps 1-44 again and select “No Proxy” in the option dialog.